This is the moment a man waded into waist-deep sewage to unblock a drain – and emerged with a COW. 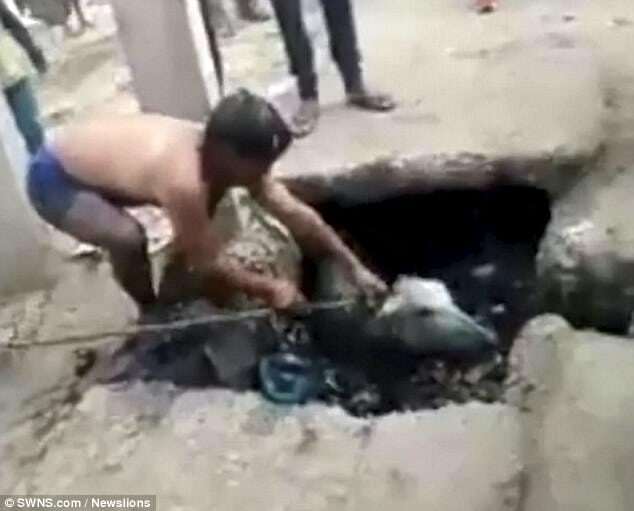 The brave man apparently spotted the calf slipping into the open drain in Ghazipur district of Uttar Pradesh in Northern India, and watched it disappear underwater. 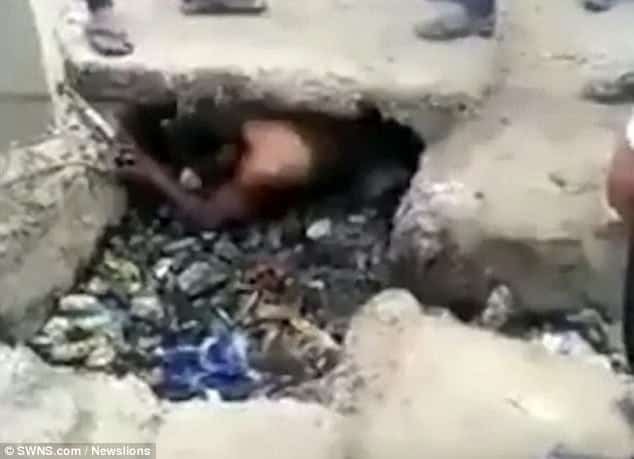 The animal lover pulled off his shirt and trousers and dived into the waste and slush without hesitation, clutching the end of a rope. He emerges moments later and pulls the confused animal to safety. One witness said: “It was a truly inspiring story of real-life heroism.